Niacin is a type of water-soluble B vitamin. It helps our body to absorb fat, protein and carbohydrates from food and convert them into expendable energy. Not only is this vitamin vital for the metabolism of carbohydrates, fats, and protein in the body, but it is also crucial for healthy hair, skin and eyes. It also ensures smooth functioning of the nervous system. Here are the top 10 foods rich in niacin. Seafood is an excellent source of niacin. The availability of seafood in abundance makes it one of the most easily accessible sources of this vitamin. Skip-Jack tuna, swordfish, king mackerel, sturgeon, sockeye salmon, and yellowfin tuna are some of the varieties of seafood which contain valuable amounts of niacin. Canned anchovies top the list with maximum units of niacin per 100g. We are all aware of the fact that meats are excellent sources of protein. In addition to this, certain meats like beef, chicken, duck, turkey, etc. are also one of the richest sources of niacin. Eggs are another very rich source of niacin. The fact that it is liked by people of all age groups makes it a staple food which is found in most households. In addition to being powerhouses of calcium, dairy products like milk, buttermilk, cottage cheese, yogurt, etc. are also good sources of niacin. 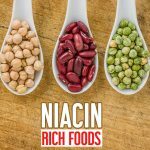 Legumes like peas, peanuts, sunflower seeds, kidney beans, lentils and lima beans have a reasonably good amount of niacin in them. Peanut butter, which is one among a child’s favorite foods, is also a good source of niacin. Vegetables like sweet potato, butternut squash, okra, corn, peas, parsnip, summer & winter squashes, pumpkin, asparagus; Brussels sprouts, French beans, onions, etc. contain niacin that they absorb from the soil. The quantity of niacin in these vegetables depends on the niacin content of the soil in that particular area. Fruits are another great source of niacin. In addition to niacin, they contain hordes of other minerals and antioxidants which make their consumption vital for the smooth functioning of the human body. Fruits that contain niacin are passion fruit, strawberries, cranberries, figs, pineapples, apples, coconuts, grapefruits, kiwis, rhubarb, mangoes, dates, apricots, avocados, yellow tomatoes, etc. Spices like cinnamon, black and white pepper, paprika, coriander, chilli powder, mustard powder, oregano, fennel seed, etc. are good sources of niacin. Some of these spices are common ingredients in everyday cooking. Hence their usage in daily food can ensure a continuous release of niacin into the body. Whole grains have a naturally high concentration of niacin. Therefore, bread and cereals fortified with whole grains are great sources of this vitamin. Grains like pearled barley, wheat flour, long-grain brown rice, bulgur, and oats are good sources of niacin as well. Beverages like tea, coffee, malted drink mixes, beer, wine and certain energy drinks have small amounts of niacin in them. Their consumption must be judicious as some of these beverages also contain caffeine. Sun-dried tomatoes are iron and potassium rich foods. They are a good source of niacin too. They are great in sauces, as a topping on pizzas, and salads as well. Niacin can be toxic if taken in excess. Some of the side effects due to excessive intake of niacin are damage to the liver, skin irritation, nausea, abdominal cramps, indigestion, etc. Development of deficiency of niacin known as pellagra occurs when you do not consume enough niacin or cannot absorb it as per your body requirement. It usually occurs in areas where maize is consumed as a staple food. In India, niacin deficiency is observed in populations that consume a large quantity of jowar and/or maize. Niacin is required for many vital bodily functions. Hence, you should consume the proper amount or take a supplement. Deficiency of essential niacin usually happens due to poor dietary habits, like less consumption of fruits and vegetables. Niacin deficiency is a very serious problem, and should be treated using natural foods or dietary supplements. Fatty pork meat, maize, and molasses as the staple food. Pellagra is a disease caused due to lack of niacin in the diet. Decreased intake of niacin or tryptophan can cause Pellagra. Mild niacin deficiency can slow down the metabolism in the body. This reduces tolerance against cold and is a major factor leading to obesity. Niacin deficiency can cause inflammation of the skin which becomes red, hard, scaly, cracked painful and itchy. It also swells and develops blisters in the later stages. Bleeding can occur in the blackened crusts. Then the skin becomes thick and hyper-pigmented. This is mainly observed on the back of the hands. Niacin deficiency can lead to irritability, apathy, depression, poor concentration, anxiety, irritability, restlessness, anxiety, tremor, fatigue, restlessness, headache, confusion, disorientation and psychosis. Diarrhea is seen in 50% of niacin-deficient persons. This deficiency can also cause poor appetite, abdominal pain, nausea and vomiting and can lead to difficulty in eating and drinking. Lesions, also known as Casal’s necklace, can be seen in any part of the body of those who suffer from niacin deficiency. They usually occur on the lower legs, feet, face, hands, arms and neck. 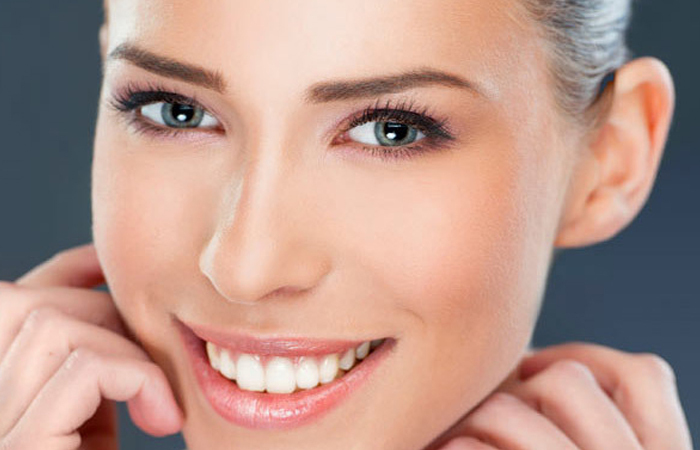 Sores and peeling might be seen on the lips, tongue and gums. Lack of niacin can give you dark red discoloration of the tongue known as glossitis. This causes redness of the tongue and pain in the mouth. The ulcers due to niacin deficiency can start from under the tongue or lower lip and spread along the entire mouth. If untreated, these ulcers can start bleeding and cause pain. Dementia occurs in conjunction with several symptoms. It can cause loss of brain function due to the diseases caused by niacin deficiency. It also destroys thinking, language, judgment, memory, and behavior. Include food in your diet which has a rich amount of niacin. 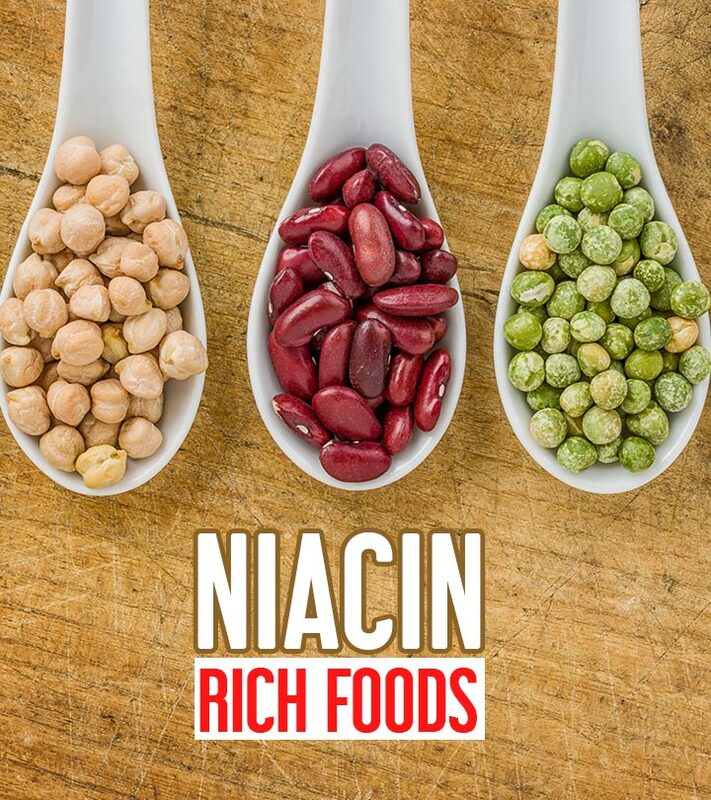 Rich sources of niacin are poultry, cereals, pasta, red meat, fish, and peanuts. Too much nicotinic acid may be harmful and can lead to liver damage. Regulate it to the required amount only. Loss of niacin occurs due to cooking and storage of foods, especially in maize and jowar. Take supplements to increase the niacin levels in the body. Please take proper advice from your doctor.